Tata has officially launched Tigor, its third compact sedan after Indigo CS and Zest at an event in Delhi today. Tigor could easily be called as one of the better looking cars in this otherwise drab-looking segment of chopped sedans! 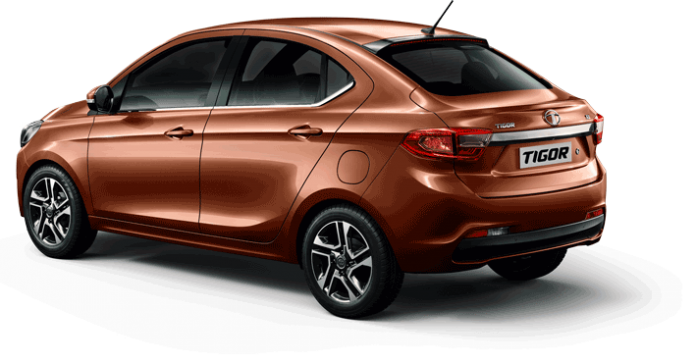 Based on the Tiago, Tigor carries forward the looks but has a very well designed coupe-like roofline falling onto the boot, which, by the way, at 419 liters is surprisingly the biggest in the segment. Tata has also added a few features in the compact sedan like the Harman touchscreen infotainment system, automatic climate control, reverse camera etc. Tigor continues with the same set of engines as that of tha Tiago. 1.2 Liter Revotron petrol engine which churns out 85 PS of peak power and 114 Nm of torque. 1.05 Liter 3-cylinder Revotorq diesel engine capable of churning out 70 PS of power and 140 Nm of torque. Both the engines come paired with 5-speed gearboxes. AMT is expected at a later stage. Tigor is offered in a choice of 6 colours.. The diesel variants command a Rs 90,000 premium over their corresponding petrol trims. 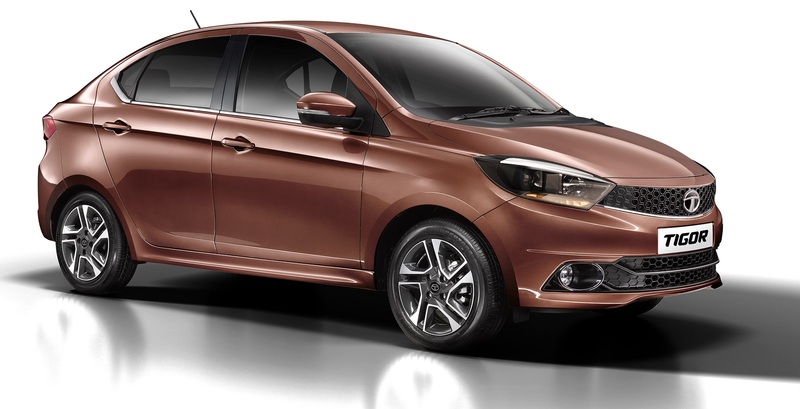 As compared to the XE variant of Tiago, Tata is asking you to pay Rs 90,000 more for the sedan. In terms of safety, only the top XZ and XZ(O) come with airbags and ABS.